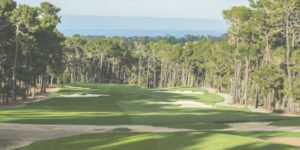 On behalf of the MCAR Charitable Trust, we are proud to announce this year’s Charitable Golf Tournament and First Annual, MCAR “Cup” which will be taking place on October 30th at Poppy Hills Golf Club in Pebble Beach. This will be an exciting tournament with the winning team being awarded the first ever MCAR Cup! Each player on the winning team will also receive a free round of golf at Poppy Hills. There are a number of sponsorship opportunities available and we sincerely appreciate your consideration as all dollars raised will be going directly towards funding a $2500 scholarship for one graduating senior at every public high school in Monterey County (including 2 community colleges). We had 80 golfers last year and another 25 on top of that for the dinner/reception afterward. Given it was our first tournament in almost 7 years, we tried to make it as simple as possible. We raised roughly $10,000 after all was said and done. The Monterey County Association of REALTORS® is proud to give back to the community. With over 1,400+ REALTORS® and affiliated members, the primary charge of the MCAR Charitable Trust is to raise money for scholarships through our various events. MCAR has been involved in presenting scholarships for over 20 years.